The Montecristo Tubos is a delicious medium-full Corona Grande, 6.1” (155mm) long, of 42 ring gauge, and comes in aluminum tubes in a box of 25 cigars. 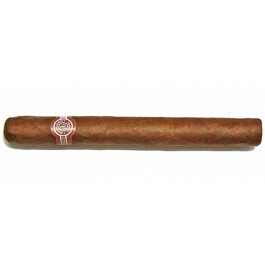 This Habanos who will never let you down, is from the world's best sold brand Montecristo. The best of all the tube cigars. It's an excellent choice for travellers or occasional smokers. Sometimes, it's practical to buy a small box of ten. Earthy taste, with an undertone of cocoa flavours and some hints of roasted nuts.